According to my wife, Rev. Thomas is something of an I.T. whiz. She’s going to speak to him later and ask him to give me a call about my spell checker. He’s a lovely man. It’s such a shame about his very pronounced stutter. And yet he’s always cheerful. An inspiration for all of us. Most people who own cats are used to them bringing home little presents of mice and birds. Frogs and toads appear to be Autonomous Ed’s specialty. I’ve spent many an hour on my knees coaxing a petrified amphibian from under the sideboard. On one memorable occasion the stupid creature even brought a grass snake in. However, even this did not prepare me for the sight that met my eyes in the kitchen this morning. A few moments later I carried the victim into the sitting room. It seemed unaware that it was safe and continued to wriggle madly. In the process it was becoming quite sticky with the blood from my wound. My wife looked up from her crossword puzzle. “It’s a guinea pig,” I explained. She really can be very obtuse sometimes. I spoke slowly and in measured tones. She rushed into the kitchen and I could hear cupboard doors banging frantically. 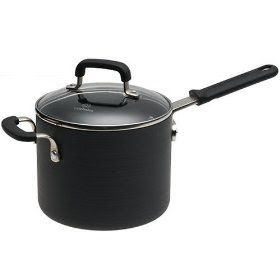 She hurried back clutching a large saucepan. I raised an eyebrow in question, but she merely shrugged. I carefully placed the guinea pig in the pan and it started to scrabble at the sides. I didn’t think it would be able to get out, but to be safe I put the lid on and went off to get a plaster. On the way back from the bathroom the phone rang. That’s it! I swear if I get one more of these calls there will be repercussions. I was quite flustered. What with this spell checker business, the guinea pig incident and having to put up with home-edders lowering house prices in the Avenue (we’ll never be able to sell) my head ached. I only got as far as the front gate. I could smell smoke. Looking back at the house I realised the smell was coming from next door. Tentatively, I opened their gate. I started to walk up the path, sniffing as I took each step, then pausing a moment. It was an elusive smell and I found that by moving my head one way or the other it was either stronger or fainter. Sometimes it was barely noticeable and I had to sniff quite loudly to detect it at all. If I took a big stride sideways it also seemed stronger and a couple of quick sniffs confirmed my suspicions. A big stride backwards and a long, drawn-out sniff confirmed it was fainter again. A movement caught my eye and I turned to find Old Mrs Mort on her way back from the postbox staring at me in alarm. Panic and a desire not to draw any attention seemed to deny me the power of coherent speech. “Home education…..” I hissed, waving a finger at Smith’s front door. “Smell that!” I sniffed loudly a few times to encourage her to do the same. Her mouth made a small “o” shape and she started to edge backwards. “No, don’t scream!” I squeaked and rushed to her, but she hurried off surprisingly quickly for someone in support stockings. This was clearly a ridiculous way to proceed. After all, I have nothing to hide. Any right-thinking individual can see it is Smith who is suspect, so I strode confidently to his front door and rang the bell. The smell of smoke was very much stronger this close to the house. The door opened and Smith gazed at me with that infuriatingly open expression. No-one should look that approachable. Just what is he trying to conceal? Would you believe it? He raised an eyebrow as though I was the deviant! “No I am NOT!” I was deeply insulted. One up to me, I think. “When I was at school I studied the rise of communist China, the history of Greek medicine and the decline of the cotton weaving industry,” Smith said. “Exactly. Good sensible school curriculum subjects.” I nodded in approval. “It was the school curriculum.” I proudly explained, but he was shaking his head slowly and sadly at me. An attractive young woman of about thirty appeared behind him in the hallway. She was wearing a blue and white striped apron and held a spatula. “Barbecue…? The smoke!” I nodded as the penny dropped. I returned home feeling a little disappointed. It could have gone better, but at least I feel he is starting to take my concerns on board. Mr Badman, sir, when are you going to encounter your friend, Ms Carol Sarler, Daily Mail's Expert-at-Large? Perhaps you should contact her by telephone? Or meet for a civilized cup of tea? It would be most delightful to read your account. Keep up the righteous work, sir! "(Home)Work Shall Set You Free"! I dont know about anyone else but I have grave concerns for the Guinea pig. 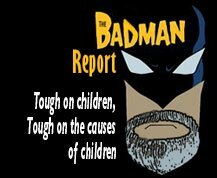 There was no mention of its release Mr Badman. You wouldnt be trying to claim a free second lunch would you? hey badders, maybe you could send litle sally round to next door to try and get info out of those arrogant HEers. Yes she is so persuasive and efficient maybe MI5 should take her on. Have you heard from your lovely daughter Sally today, lovely to meet her on facebook. You must have a post in you about her. I'm from the RSPCA. Again. As I previously pointed out, some people have been saying that experts are statistically more likely to abuse their pets. I would like to look in your saucepan, if you don't mind, Mr Madman. We take a very dim view of guinea pig boiling. It appears to me, that the guinea pig (who cannot be named, for legal reasons) was perfectly safe and well with his family next door. It is only since he has fallen into the hands of the 'authority' that appears to be injured, imprisoned, and at risk of harm.